Oyeleye, a policy analyst, journalist and veterinarian, writes from Abuja. You can contact him on olukayode.oyeleye@businessamlive.com with stories and commentary. The task of feeding the teeming Nigerian population is overwhelming, requiring enormous efforts, great depth of thought, robust strategies and proactive actions. Recognition of the neglect of agriculture as a result of discovery of petroleum is not enough. Nigeria, as a nation must face up to the fact that people need to be fed and that Nigeria’s annual food import bill is becoming intolerable, one of the reasons for our national development challenges and one of the avenues for job losses resulting from absence of responsive policies to end the crisis that has built up over the years. The 1999 constitution of the Federal Republic of Nigeria, places agriculture on the concurrent list, in which case the states are well placed to play an active part and determine what is suitable for them. Despite this wide legal and legislative latitude, most states have not taken advantage of the influence and opportunities at their disposal, but rather preferring to treat as priority – and eagerly showcasing – grandiose building projects, roads, hospitals, stadia and other physical structures. Although these are important, only few, if any, of the states have paid attention to projects and programmes that have more fundamental, foundational and sustainable impacts and future strategic importance, even if they don’t seem politically popular or attract much publicity now. One state which appears to have put the right foot forward is the state of Osun, as the people of the state call it. Recently, it became obvious that Osun adopted, adapted and implemented some aspects of the agricultural transformation agenda of the federal government, particularly in the area of farmers’ enumeration and distribution of subsidised agricultural inputs. It also became obvious that Osun took further steps by bringing up its own interventions. One of them is the innovative land reforms programme, a flagship intervention that has attracted the attention of development partners beyond the shores of Nigeria. Here is an example of innovation in public service at the sub-national level in Nigeria, where Osun makes a difference, having the future in view. Akinola, an economist, found a good platform in Osun, provided and supported by the immediate past Governor, Rauf Aregbesola, which gave rise to the creation of the Osun Rural Enterprise and Agriculture Programme (O-REAP), a multi-ministerial, departmental and agency (MDA) collaboration which, in itself, was a public service innovation. The initiative, which was conceptualised, initiated and began implementation then is currently being sustained and supported by the successor, Governor Gboyega Oyetola. The essence was to instill confidence in stakeholders by avoiding policy somersault as the state attempts to transform its economy, using agriculture as the key driver through a robust programme focusing on mass food production. The land bank, regarded as a social protection initiative, under the larger O-REAP, an umbrella programme with several components, has gained the recognition of UNICEF. Social protection is now a major strategy in efforts to reduce poverty and vulnerability around the world. It has gained prominence on the global 2030 development agenda (SDG) because the fight against poverty requires different strategies for different contexts. Accordingly, the OEDP has partnered with UNICEF to publish a report in 2018 on “Accelerating Action for Social Protection,” in which it was revealed that a baseline survey showed an ageing population of farmers in Osun. 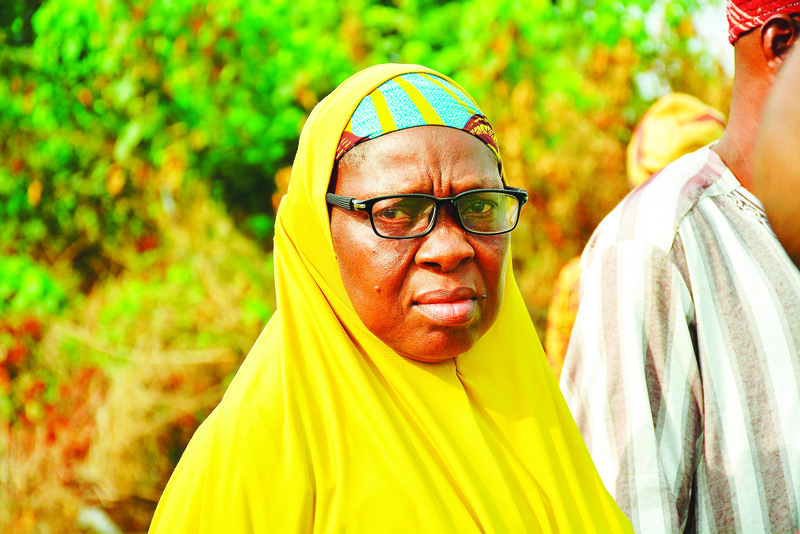 “Around 2011, the average age of farmers in Osun was put at 56 or 57 years. That is a dying culture,” lamented Akinola. The land bank initiative, which would serve as an instrument of inclusiveness, “seeks to strike a comfortable balance between small and large holder farmers. Its multi-ministerial approach brought in ministries of women affairs and social development, commerce and cooperative as well as agriculture, among others. It was stated that “agricultural farmlands was in the hands of families, individuals and communities. The concept of land bank, however, was to hold such land in trust for 25 years and give to smallholders. The original owners are given some money and government plans to turn several hectares of idle land to structured farmlands,” according to the UNICEF report. The “circumstances in which we found ourselves because of the fall of oil prices and the attendant reduction to the state in the proceeds we get from FAAC,» required that «any serious-thinking government should, as a matter of priority, focus on agriculture.” Accordingly, “we looked at how we can grow the economy through agriculture. We looked at food and industrial products in agriculture. We looked at arable and cash crops. We looked at Osun, and the areas in which we can grow our economy, the non-oil prospects like agriculture, mining and tourism. The area having the greatest potential to grow the economy is agriculture; where we are trying to affect a greater number of people. We are extending that to rural development,» the OEDP boss said. Beyond the local prospects, a “mid-regional market is anticipated. He talked of «some gains» that have been made in the establishment of dry (inland) port, that, when fully operational, «you can consign goods from Shanghai, Rotterdam or any other major port of the world to Osogbo.” Innovative as it appears, O-REAP is yet to attract the attention of the Nigerian public, particularly other equally agrarian states and all tiers of government. Here is where Osun has a lot to teach other states, including the federal government, on the need to act quickly, sensibly and firmly in securing the future of Nigeria’s agriculture and food security by first securing the land for sustainable production. O-REAP, designed to be consistent with four of the six-point Integral Action Plan of the state’s government, was meant to banish hunger, poverty, unemployment and promote healthy living. An understanding of the pro-development and transformative agenda, aimed at actualising the Action Plan, and an unwavering commitment to its implementation, would help in building a sustainable agricultural base within the state and beyond. The on-going initiative started as a multi-stakeholders’ engagement. «In the process of building the land bank, we work with communities, individuals who have land, and who might not have full control as people are encroaching on land: they bring these to the land bank and have arrangements in which the state holds this land in trust for them. A number of things happen: they still continue to own their land (because it is just in partnership with government). Government could see big time investor-partners. It is about making us investor-ready in large scale farming. It is also about making land available for smallholders. It is a win-win. It is an innovation we are proud of. What this administration is doing is to set targets.” The land security and sustainability of this initiative will benefit greatly from legal and legislative frameworks, transcending any particular government. The state has therefore drafted an Executive Bill for the creation of the Land Holding Authority which is currently in the State House of Assembly to be passed into law. «We want our claims to be evidence-based on the land holdings,» he said. The farm settlement register revealed names of civil servants who are still in service. «The governor encourages members of the state executive council to be involved in farming of some sorts. Nigerian constitution allows civil servants to do farming. The interest is there now. People are doing backyard farming. We are trying to encourage agriculture in schools. India is the world leading producer and processor of cashew. A number of Indian villages have few cashew trees, but these all add up” to the large national output. Assuring that Osun is well positioned to support agriculture, Akinola said the state has “the benefits of eight years of implementing programmes that hinged on the six-point Integral Action Plan. We have also found out better ways. 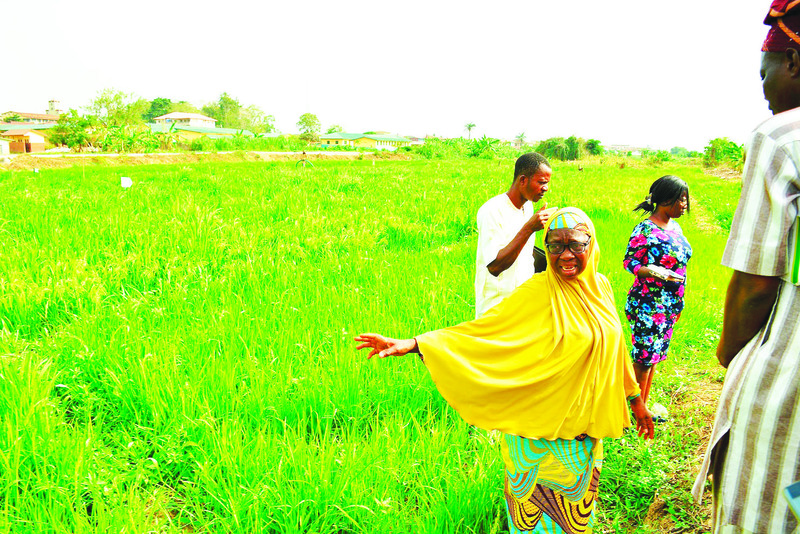 We can more aggressively move in the direction of achieving those targets.” If Osun could invest so much resources, time and intellectual inputs into revamping its agricultural base, this is a proverb and a motivation for other states, particularly those that have frittered away their opportunities for robust agricultural productivity over the years. As the challenges of food security mount, Osun could well be setting the pace for other states to follow in sustainable agriculture, livelihoods food security. Dr. Oyeleye is a policy analyst, journalist and veterinarian.